Explore the life of this self-educated mathematician, scientist, astronomer, and civil rights advocate with Benjamin Banneker: Self-Made Man. This informational text profiles the life of the man who worked hard to educate himself and became an almanac writer and land surveyor for the nation’s capital. Get your students excited as they explore this nonfiction reader filled with primary source material, offering a historical glimpse of what life was like back then. Build literacy and subject content knowledge with this nonfiction reader that explores US history, geography, and other social studies topics. 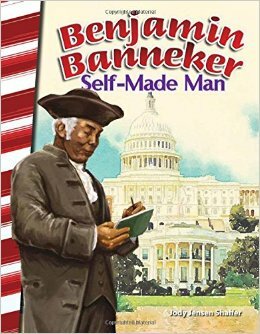 Benjamin Banneker: Self-Made Man provides access to every type of learner with appropriately leveled content. This book contains text features such as captions, bold print, glossary, and index to increase understanding and build academic vocabulary.